This year at our Americas Summit we are proud to introduce Global Mobility Fundamentals - a brand-new mini-course that has been carefully created to help delegates from all backgrounds make the most of all the learning opportunities throughout the two content-packed days at the Dallas Marriott City Center. Global Mobility Fundamentals starts with the key elements an organization or Global Mobility (GM) professional need to consider before planning an international assignment and then travels the GM road to repatriation, trailing tax liabilities, and estimating accruals. Are you new to Global Mobility? Then this is an excellent overview that will help you to understand the different concepts discussed during the Summit and will give you practical tips that you can use back in the office. Perhaps you are a subject matter expert in one area of Global Mobility but want to up your game elsewhere? Global Mobility Fundamentals presents the key GM elements and can help cover any gaps. Maybe you are an experienced GM professional who has been away for a while and want to refresh your knowledge? This is a quick, no-cost way to learn about some of the things that have changed and get right up to date on current practices. Join our award-winning senior experts, Matt Burns, (formerly Director of HR Operations, Lockheed Martin International and Rita Meouchy, CPA (formerly Senior Tax Manager, Deloitte) as they guide you on this enlivening journey. So whether you are new to global mobility, in need of a refresher, or just want to broaden your understanding of this ever-changing profession, make sure you sign up to attend! Contact Hannah.blake@centaurmedia.com to reserve your place on the course and if you haven't already done so, register for the FEM Americas Summit. 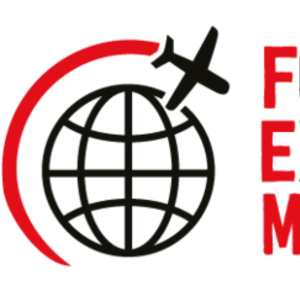 Global Mobility Fundamentals will take place in two sessions on Day One of the FEM 2019 Americas Summit - May 22-23. See the timings in our Agenda.